It’s a big week here in the Twin Cities, what with Bob Dylan (tonight) and Bruce Springsteen (Sunday and Monday) performing at Xcel and Bettye Lavette at the Dakota. You don’t need me to tell you about the Boss and the Bard. Bettye LaVette is covered below. At any rate, if you aren’t staying at home to enjoy regular (rather than political) commercials on TV, you can find some mighty fine music around town. Snowblind @ The Artists Quarter, Saint Paul. 9pm ($5) It may seem that I often list this group, but that’s because they only place about once every six weeks or so. Six fine musicians playing original music with a few jazz standards thrown in for good measure. They work as equals, creating music inspired by Ellington, Mingus, and Blakey, among others, and including grooves into their horn-based sound. 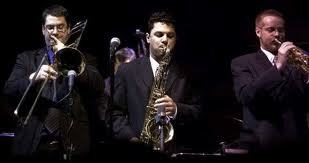 Scott Agster (trombone), Reid Kennedy (drums), Graydon Peterson (bass), Adam Rosmiller (trumpet) and Shilad Sen (sax). Vital Organ @ Hell’s Kitchen, Minneapolis. 6pm – 9pm (Free) Thought Hell’s Kitchen can be noisy, this organ trio led by Zacc Harris has the goods to catch your attention: funky sounds, head boppin’ grooves, and occasional vocals from Katy Gearty. Patty Peterson CD Release & Birthday Party @ The Artists’ Quarter, 9pm ($12) Patty brings her CD Release to the East Metro and manages to make it a Birthday Party as well. 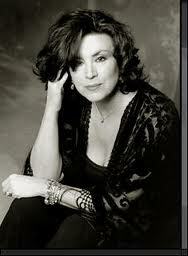 The new CD, “The Very Thought of You,” reflects Patty’s ability to go from standards to jazz to R&B. Bobby Vandell, drums; Billy Franze, guitar; Paul Peterson, bass; and Jason Peterson DeLaire, piano. Given Patty’s longevity and stature in the Twin Cities music scene, there will undoubtedly be surprise guests. Dave Karr Quartet: Jazz @ Studio Z, Saint Paul. 5pm (Workshop – Free), 7pm (Performance – $10) The second in the Jazz at Studio Z series for this year. At the 5pm workshop, saxophonist Karr will talk about “Developing a Bebop Sound & Vocabulary.” It will be followed at 7pm by a performance featuring Karr, Dave Graf, trombone; Adam Linz, bass; and Phil Hey, drums. Plus, if you attend the workshop, you get $2 off the performance. Learn about one of the basic streams of jazz and then listen to a performance that helps you understand what you learned. Anat Cohen with Special Guest Evan Christopher @ The Dakota, Minneapolis. 8pm ($25) It’s a two clarinet night at the Dakota. Cohen was originally scheduled to appear at Orchestra Hall. She’s a clarinetist and rising star, appearing recently on the cover of Jazz Times. With a lyrical approach and deep, warmly wooden tones, Cohen is bringing a new understanding and appreciation for clarinet in jazz. Special guest Evan Christopher explores the ins and outs of classic New Orleans jazz, bringing his own stamp to the result. Here’s a video of Anat that showcases her style. PipJazz Sunday: Youth All-Star Night @ The Landmark Center, Saint Paul. 5pm ($20) Pippi Ardennia has made a point of having a talented young person perform at each of her monthly shows. Tonight she brings fifteen of them together to perform. Some have their own bands, others have performed with the Dakota Combo, and still others are simply talented musicians studying at Walker West or other schools around town. Secret Stash Presents Pena @ The Icehouse, Minneapolis. 9pm ($6) Minnesota Monthly dubbed them the Best Record Label in the Twin Cities. In fact, there are folks all over the world that appreciate the effort these guys put into unearthing and releasing funk, soul, and worldbeat records. They recorded the award-winning Pena on a trip to Peru, followed it up with a second release and a remix. Tonight they’ll be presenting Pena’s music, with Secret Stash Deejays providing music before and between sets. Eilen Jewell @ The Dakota, Minneapolis. 7pm ($25) It’s about two years since Eilen appeared at the 331 Club and gained a whole bunch of fans of her blend of Americana, classic country, blues, and folk. There’s nothing old fashioned about her songs, though. She’s originally from Idaho, but spent a number of years in the Boston area, and has been building a fan base touring the country and internationally. Wednesday afternoon she appeared on Jackson Buck’s Freewheelin on KFAI, which you can listen to here, starting about an hour and ten minutes into the show. Hurricane Harold’s Blues Revue @ Wilebski’s, Saint Paul. 6pm – 10pm ($5) An early show for those of a certain age, this is nevertheless a chance to see a bevy of excellent blues players. Hurricane Harold Trembley on harp leads the charge, with Dave “Cool Breeze” Brown and Mark “Good Time Willy” Williams on guitars; Allen Kirk, drums; and Chris Johnson, bass. Jennifer Markey & the Tennessee Snowpants and the Crown Vics @ The Eagles Club #34, Minneapolis. ($5?) Modern bands doing originals that often sound like classic country. Check out this video of Jennifer. Bettye LaVette @ The Dakota, Minneapolis. 7pm ($45) A strong contender for displacing Aretha as the preeminent soul singer, Bettye didn’t hold back for the crowd at the Leinie Lodge stage during this year’s state fair. This is her 50th year in the music business, and she’s released a new CD, Thankful n’ Thoughtful, and an autobiography, “A Woman Like Me.” No one else gets inside a song like she does and no one can wring out you as a listener either. Paul Thorn @ Bunker’s, Minneapolis. 9pm ($22) His 2010 album is titled Pimps and Preachers, and is full of semi-autographical stories about characters from his Southern upbringing, including one about his short-lived boxing career. On stage, Thorn is a charming, often humorous storyteller and effective singer, whose songs will appeal to fans of both John Hiatt and John Prine. 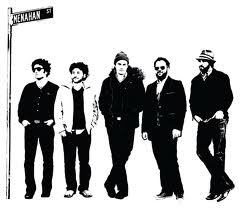 Menahan Street Band @ Seventh Street Entry, Minneapolis. 9pm ($15) The funk faithful will be out in force for this. One of Brooklyn’s new horn-driven funk bands, the Menahan Street Band creates sinuous instrumental hooks in both originals and surprising covers. Members come from Antibalas, The Budos Band, El Michaels Affair, and the Dap-Kings. This entry was posted on Wednesday, November 7th, 2012 at 6:03 pm and is filed under Weekly Preview. You can follow any responses to this entry through the RSS 2.0 feed. You can leave a response, or trackback from your own site.